Fun and floral! Great for a night out on the town or a day in the office! 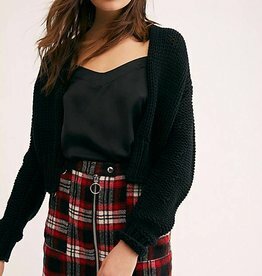 Comfy, cozy, & cropped! Featuring balloon sleeves and soft material, you won't want to take it off! Thriller - the best selling album of all time from the most popular entertainer in the world! 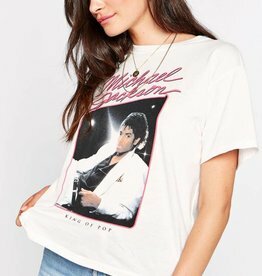 Daydreamer celebrates the addition of the King of Pop - Michael Jackson - to their growing list of iconic artists featured on their soft band tees. The Roxanna top from Cupcakes & Cashmere features a lightweight knit fabric, making it a weekend go-to. 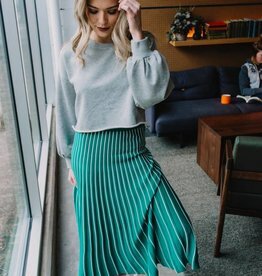 For the girl that wants the best of both worlds, the Livia skirt from Cupcakes & Cashmere mixes feminine detail with sporty accents. 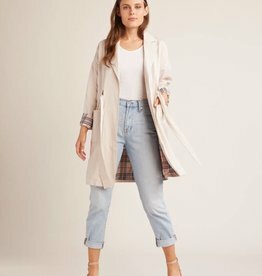 Every girl needs a great trench in her wardrobe. We love this one because it has a fun plaid pattern on the inside! 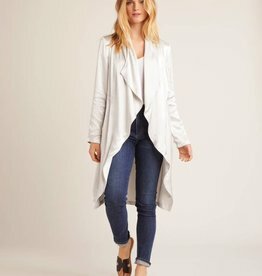 A classic for your closet, the Yoko trench is a gorgeous addition to a white tee and skinnies or over your favorite dress. The Joss Tie Neck Blouse has a split neck with a ruffle trim and smock flounce sleeves. 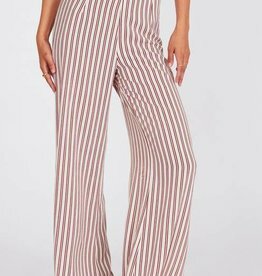 Our best-selling wrap top is back in our in-house designed stripe. 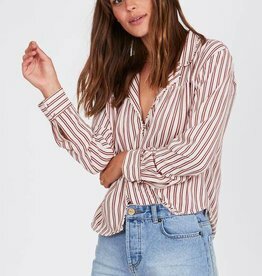 Its perfectly cropped to through on with your favorite hi-rise jeans and go! Whether you are dressing up jeans or pairing this back to the matching skirt, the Dahlia Blouse will add the perfect feminine pop to any outfit. 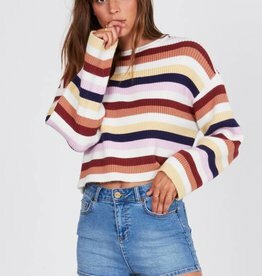 The sweater equivalent of self-care. The Snuggle Is Real in this soft crew neck sweater with lattice sleeve details. 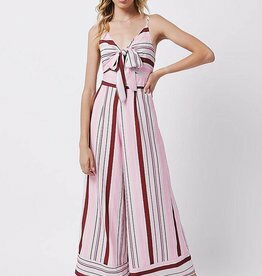 Flowy high-neck mini slip featuring a colorful floral print with metallic details ruffled trim and tied accents with tassels. 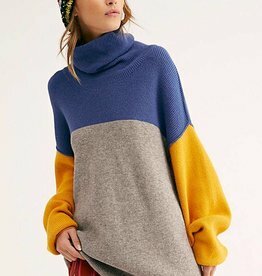 Cozy and soft ribbed tunic sweater featured in a color-blocked pattern. 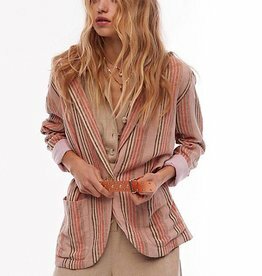 Slouchy striped blazer featured in a lightweight linen-blend. 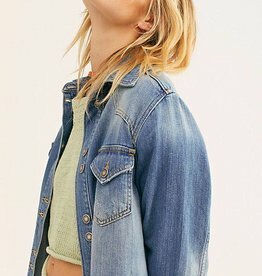 Slouchy denim shirt jacket featuring allover distressing for a lived-in look. Jump around in our Laneway jumpsuit featuring shirred sides of the bodice, wide + cropped legs, and in-seam pockets. Never enough snake print. 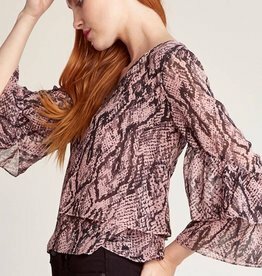 The Raise The Snakes printed chiffon layered top is a breezy lightweight blouse with a v-neckline. Say hello to your new favorite mini dress. 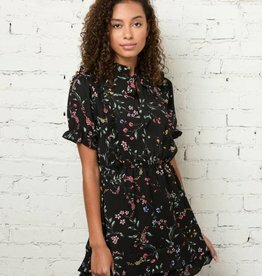 In a pretty winter floral, this short-sleeved chiffon dress can be easily dressed up or down.